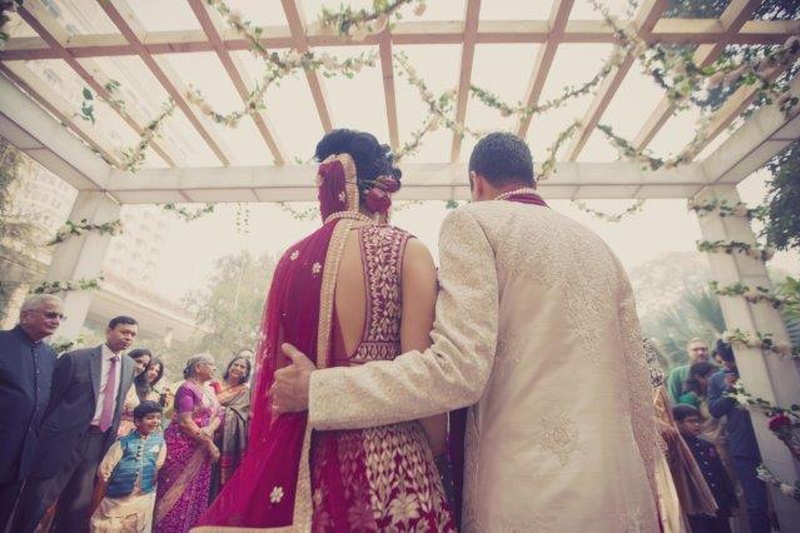 Love birds Dhruv and Manya started off their story in one of the most classic ways. 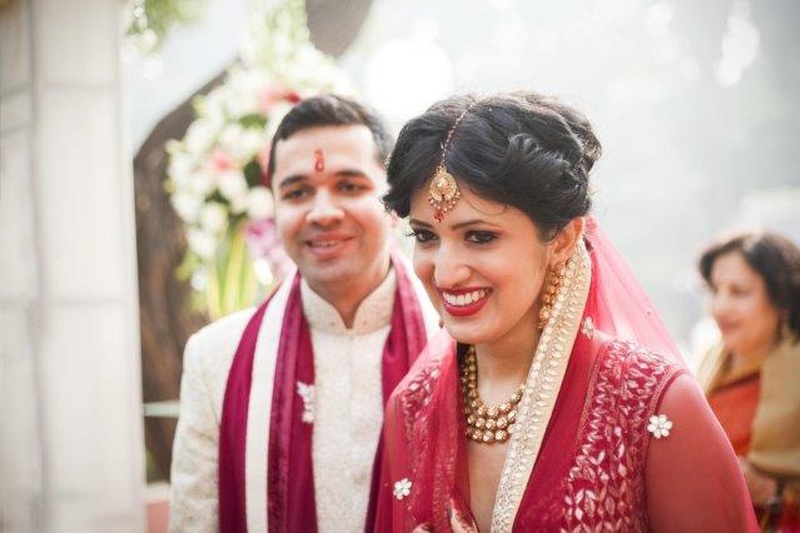 The duo studied in the same college in Toronto and became friends before finally falling in love. 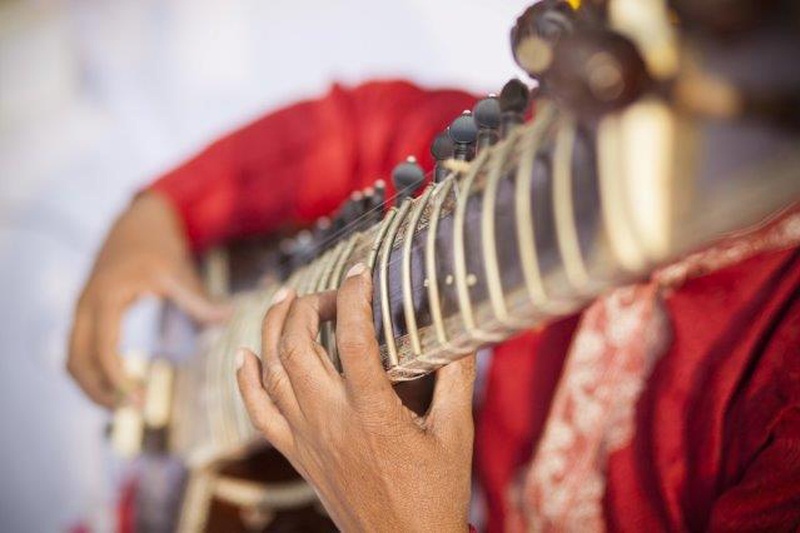 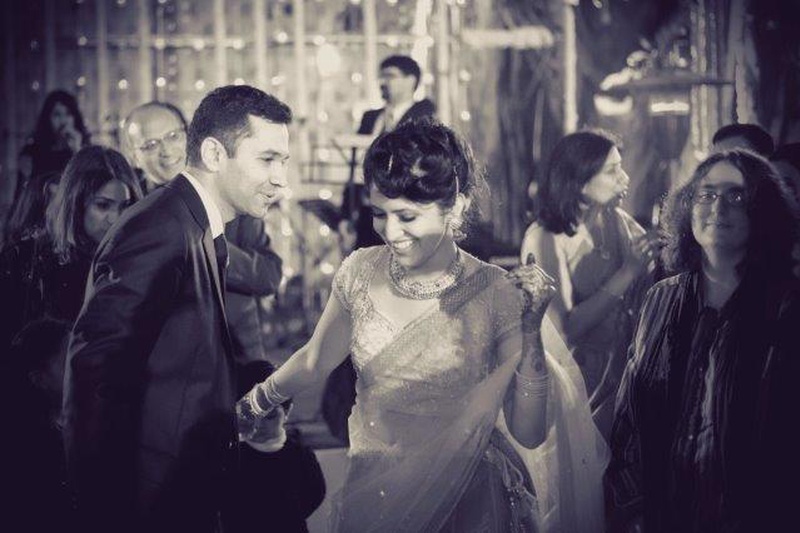 Even though they are settled in Geneva, their wedding was a big, fat Indian wedding in Delhi! 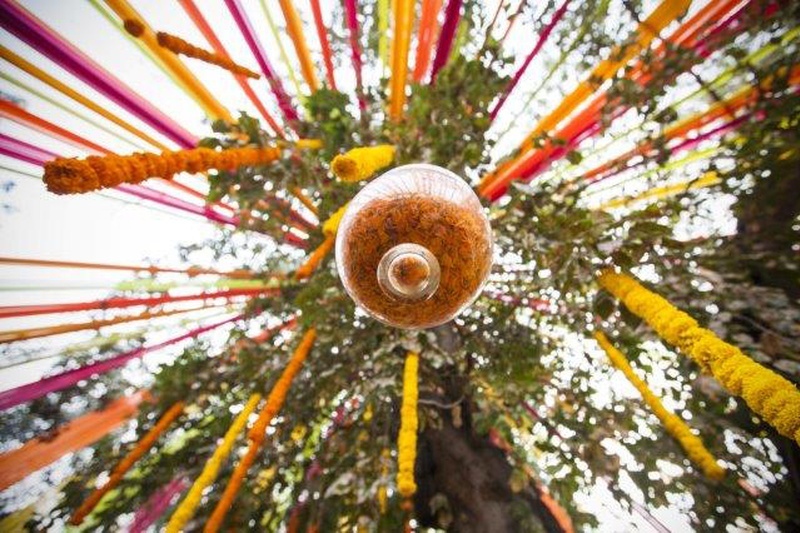 This vibrant wedding had all the elements of a traditional wedding and it couldn't get more beautiful than this! 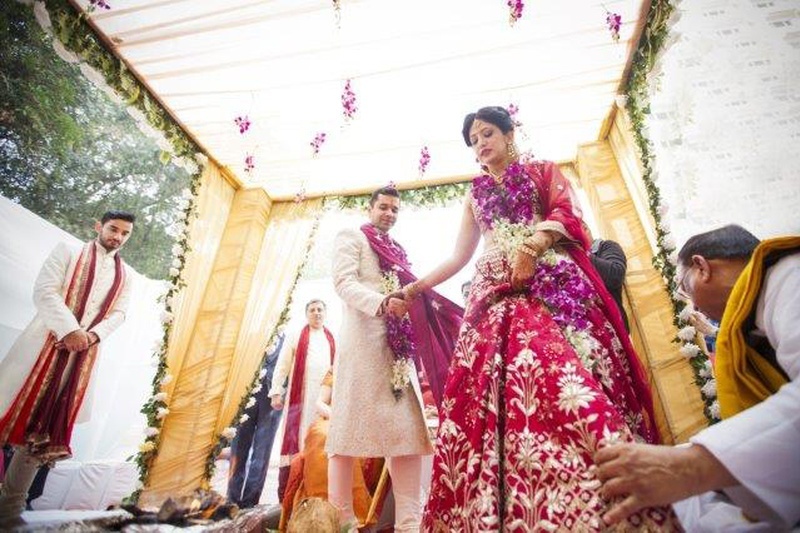 The bride looked radiant in her gorgeous wedding lehenga and the groom complemented her beautifully in a traditional white and red sherwani. 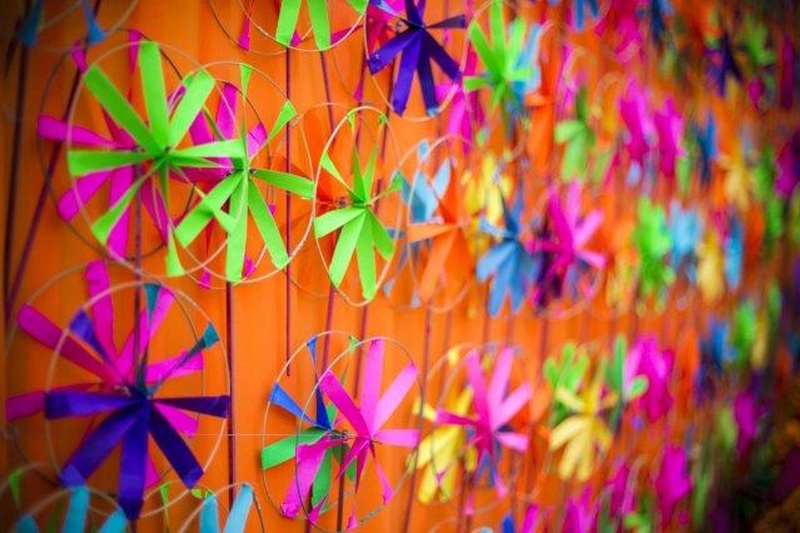 Colourful and vibrant paper craft decor for the mehendi ceremony. 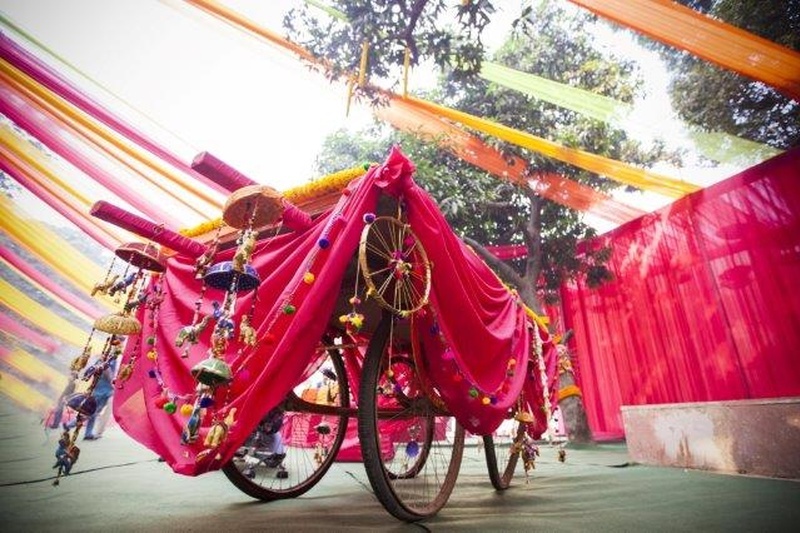 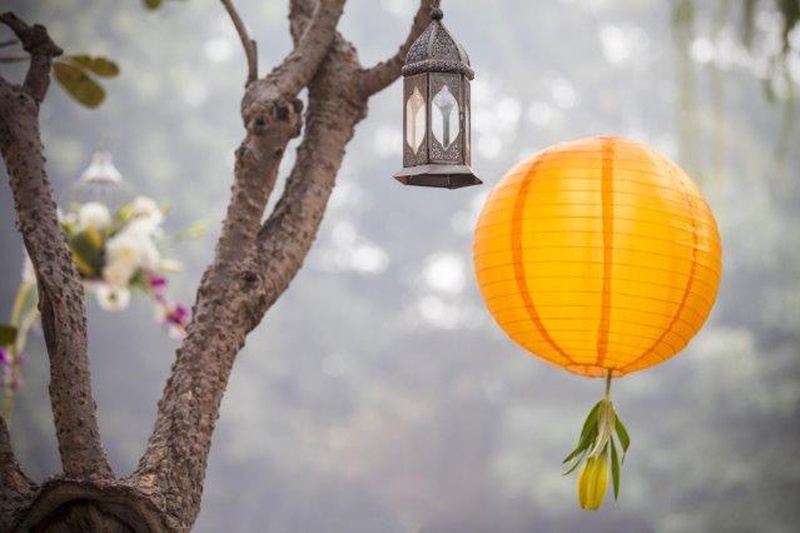 Decor installations at the mehendi ceremony held at The Taj Mahal hotel, Delhi. 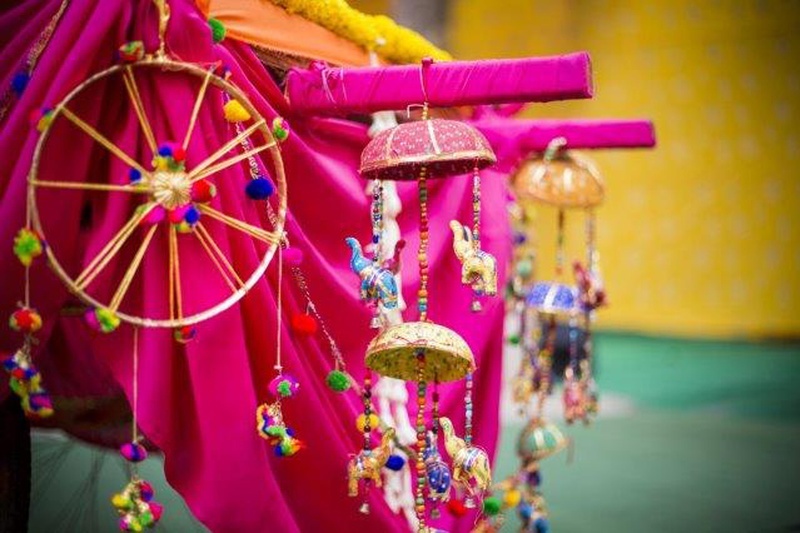 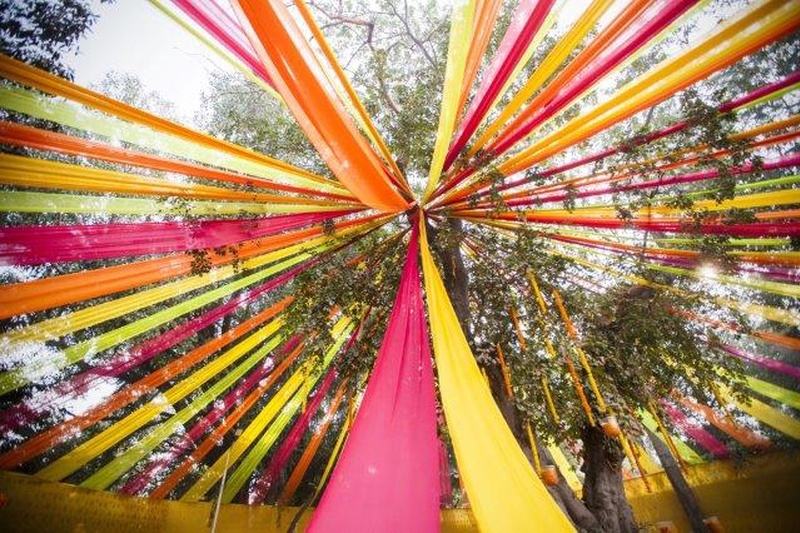 Colourful drape decor at the mehendi ceremony. 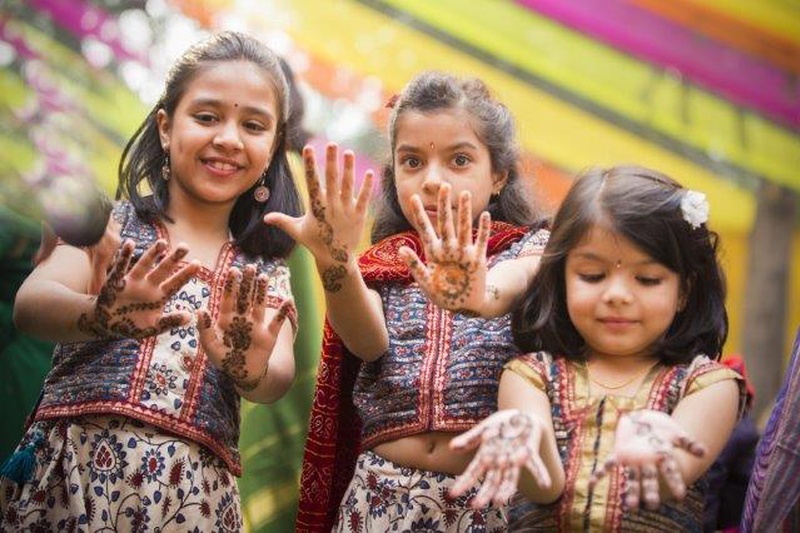 Cute little kids at the mehendi ceremony. 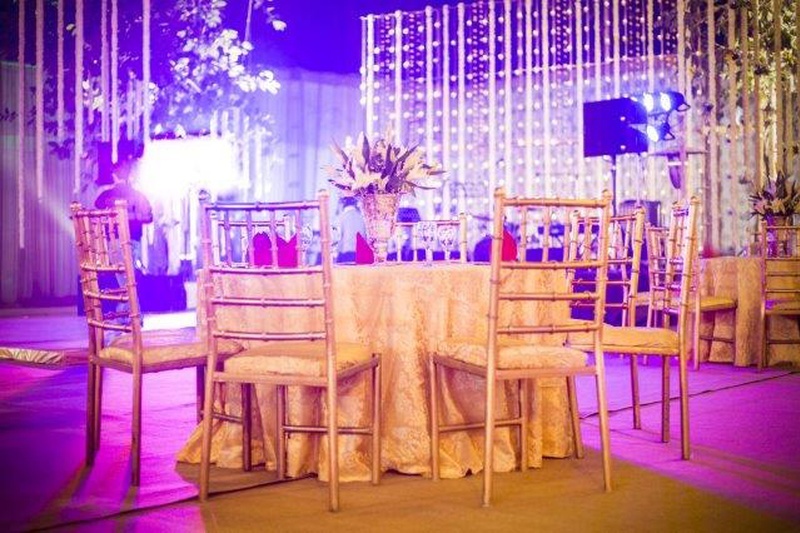 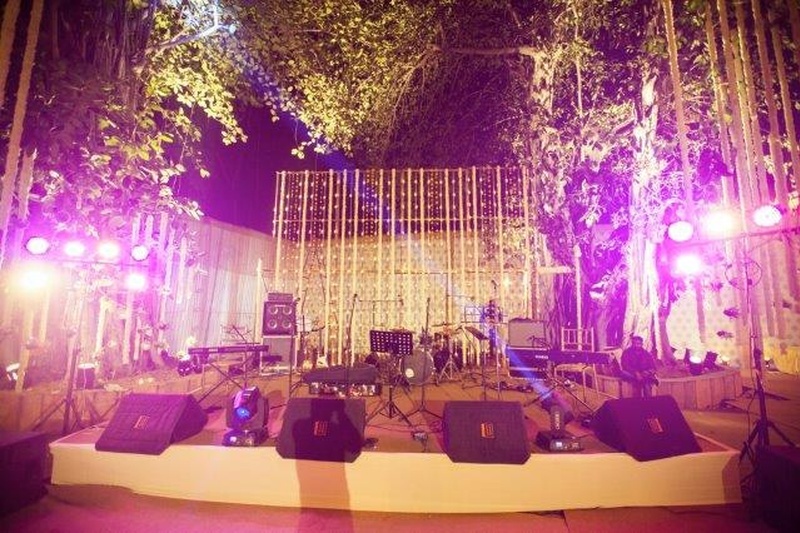 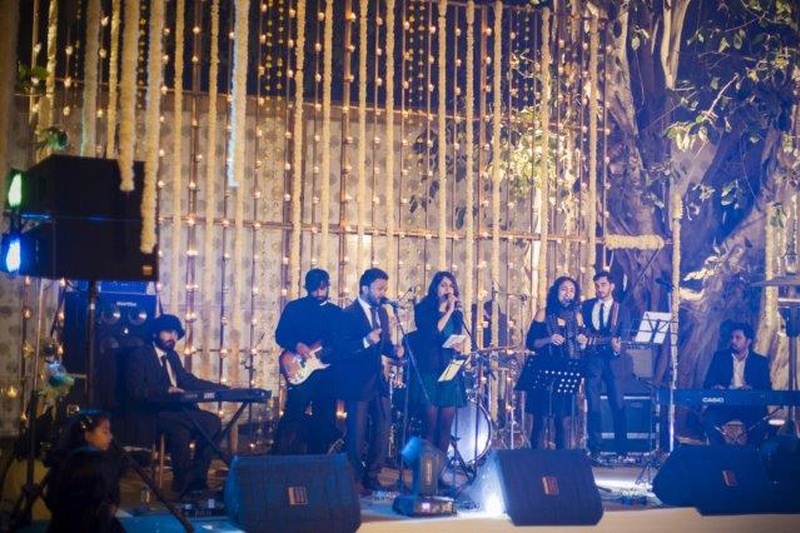 Bright stage decor for the sangeet ceremony. 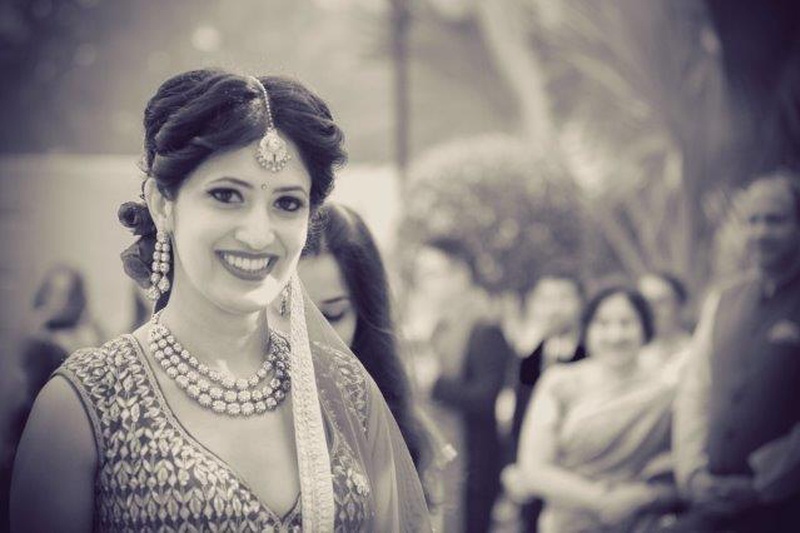 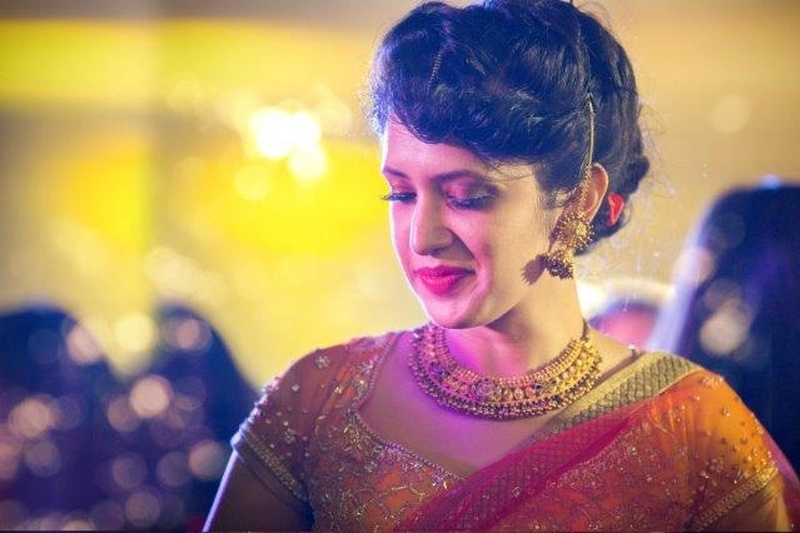 Wearing minimal bridal wear and minimal makeup for the sangeet ceremony. 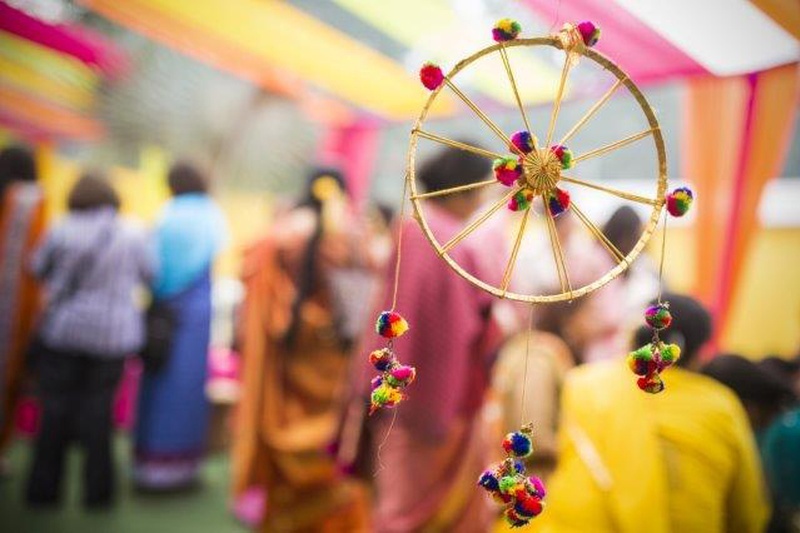 Table setting decor for the mehendi ceremony. 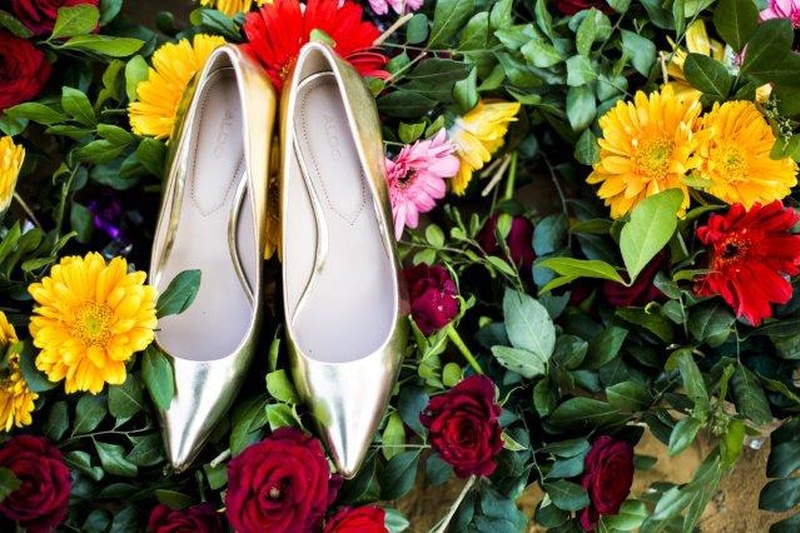 Gold bridal shoes for the wedding day against bright floral background. 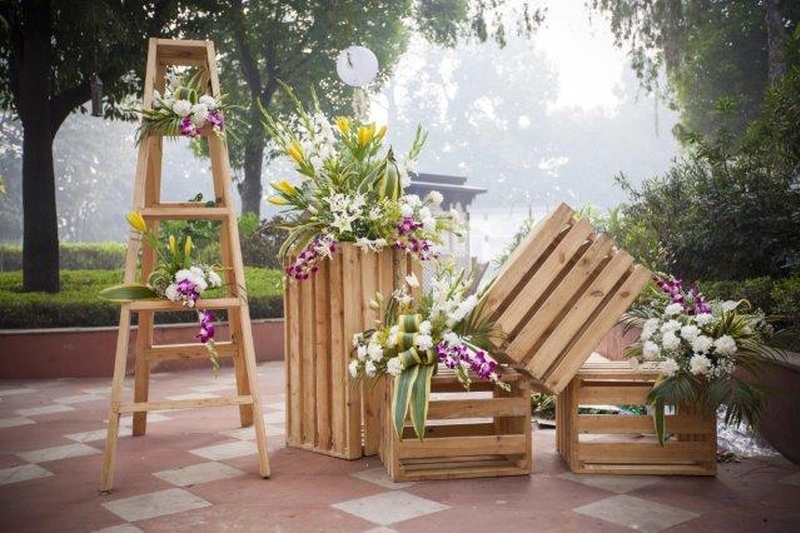 Rustic decor theme for the day time wedding affair. 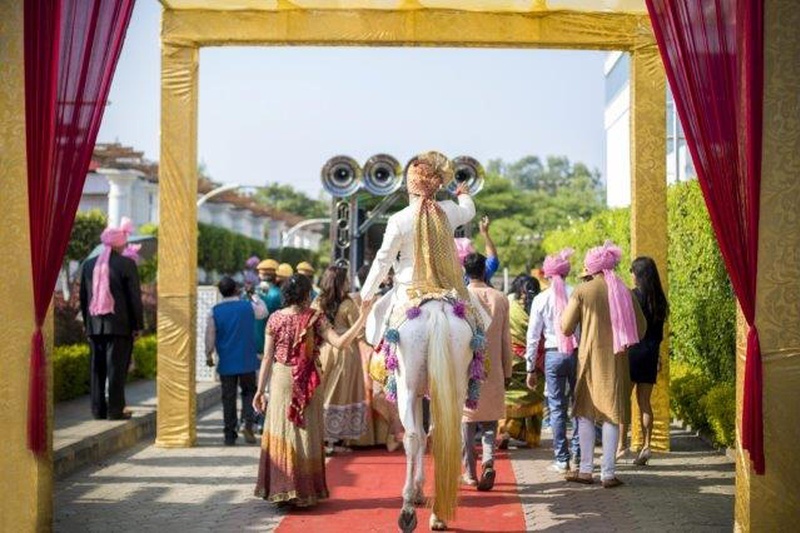 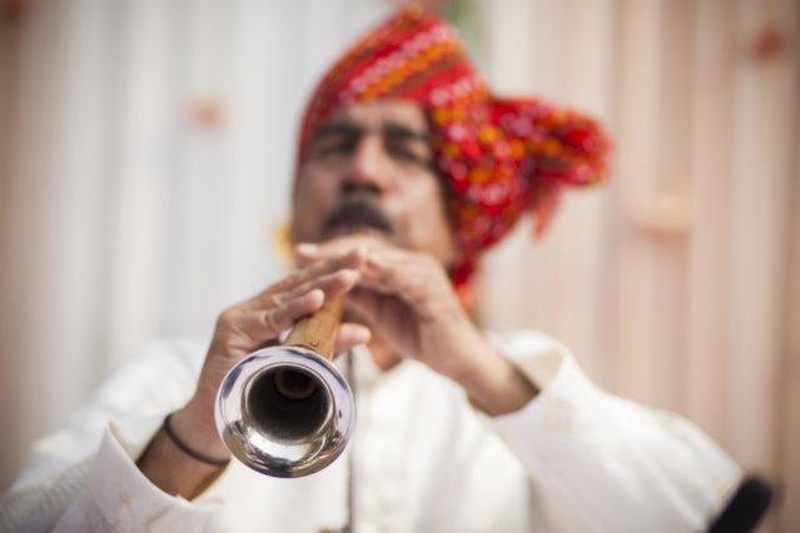 Groom on ghodi entering the wedding venue. 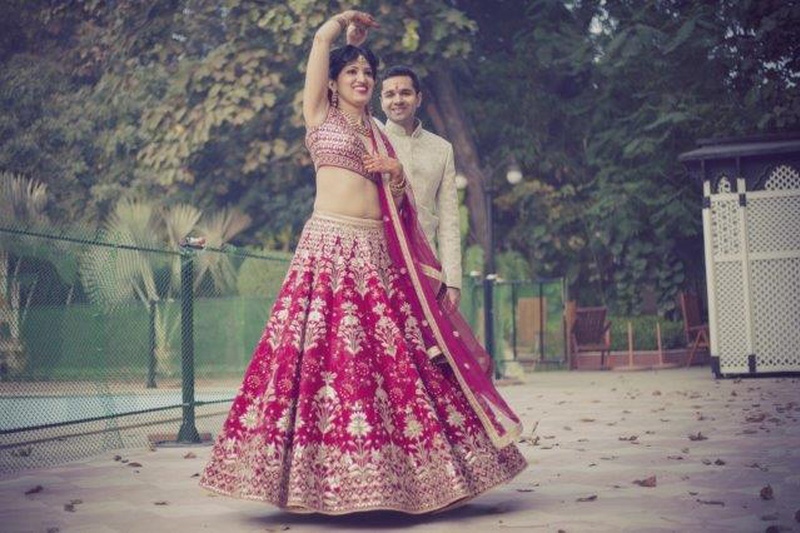 Dressed up in a hot pink and silver gota patti lehenga by Anita Dongre for the wedding day. 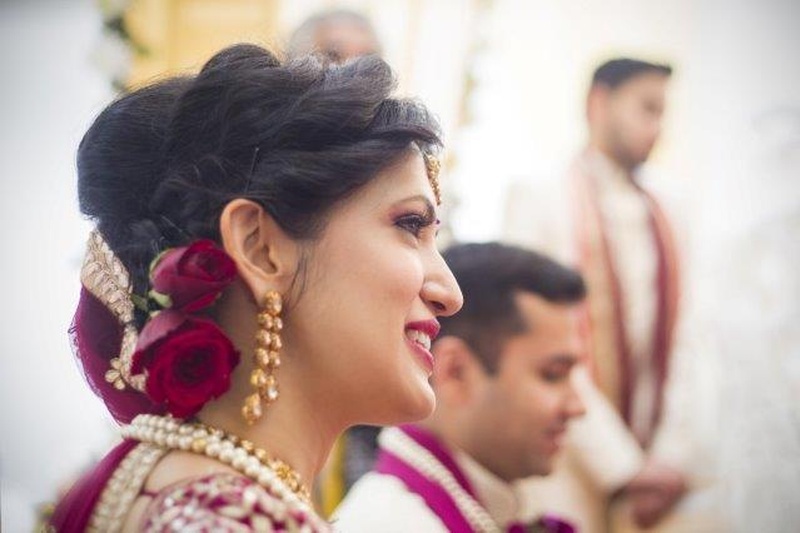 Minimal look for the wedding day. 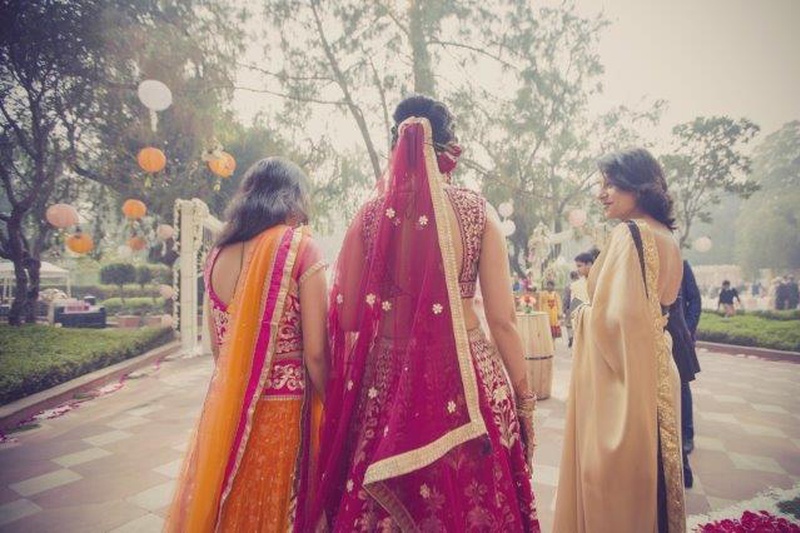 Dressed up in colour coordinated wedding outfits for the wedding day.